Question id: 66. This question is similar to one that appeared in an IB Standard paper in 2014. The use of a calculator is not allowed. The graph has a local maximum where \(x=- \frac23\), and a local minimum where \(x=4\). Write down the following in order from least to greatest: \(f(2),f'(4)\) and \(f''(4)\). 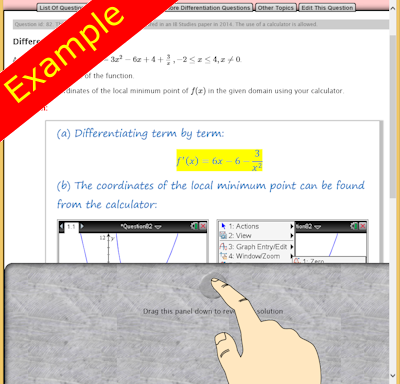 If you need more practice try the self-checking interactive exercise called Differentiation.